Just in time for the Holiday Season...This is a good time to re-visit the topic, as we always get a lot of calls from Epson Pro Graphics Printer users about clogged ink jet heads. Is it from the Dry Climate? Or, how about Lack of Use (park your asset in the corner and watch it waste away) or is the printer getting older and has not been properly maintained? Or a combination of all of the above! Each of these conditions can cause quality issues, wasted ink & media and delays in getting your ink jet prints done. It is very frustrating and possibly expensive to resolve these issues. It is hard to justify doing power cleanings all day, wasting ink and not getting anywhere. Be sure that it is clogged heads and not ink starvation, which are two different beasts. 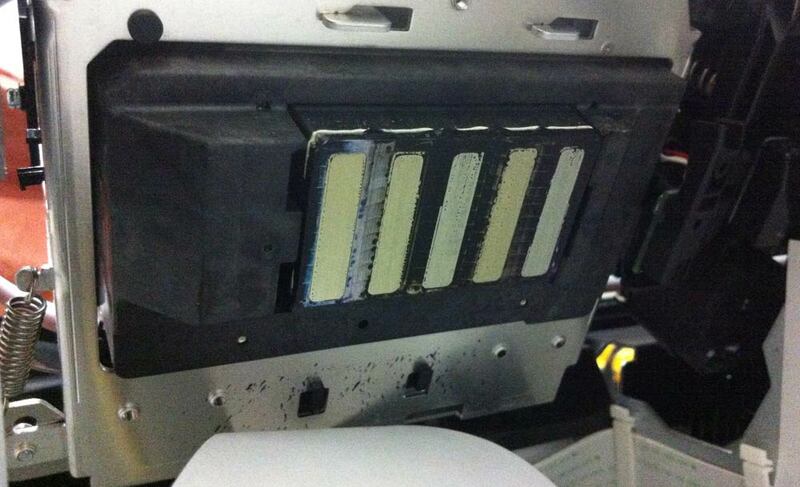 Remember, excessive power cleanings can actually damage the print heads in new style Epson printers. It is best to look at the condition of the pump capping station to see what is going on in the first place. If you are in an area that has a trained technician, periodically have your printer cleaned and inspect to maintain your Epson Printer investment. It will keep the printer working for many years and produce good quality prints for your enjoyment and business needs. For Epson Service in the Denver area, call us at 303-980-8069 and ask for our Epson Printer Service Department to schedule a preventative maintenance or to order parts. Use your Epson printer at least once a week. Run a nozzle check if nothing else. Heck, print an email or two if you have to! You can use plain paper for this. Keep the printer in a 35% humidity environment if you can, it helps! 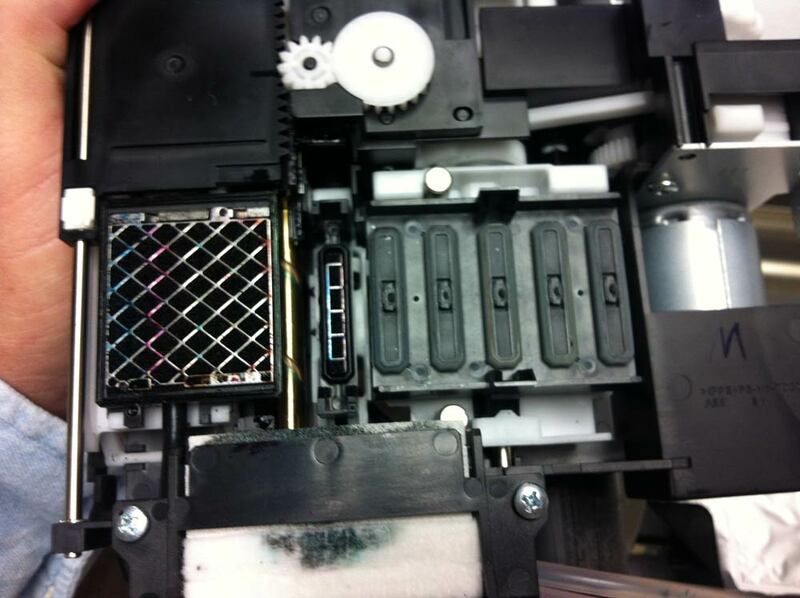 See our articles on the "Humidor" and care & cleaning of older Epson printers. We have Humidors available on our web site for purchase. As the printer gets older, run our "Pink Cleaning Solution" through the printer, lines, print heads and let the solution dissolve old ink in the printer for at least 72 hours or more. These are for sale on our web site. We now have cleaning cartridges for the Epson 7900, 9900, 7890 & 9890 printers! Our line of cleaning and bulk ink cartridges is always growing to cover the needs of Epson printer users. We now have cleaning cartridges for the Epson T-Series, also! Keep watching our blog for more articles on clogged ink jet heads. We always get a printer or two in that are in gross condition of neglect and eventually, we are able to get them working again. 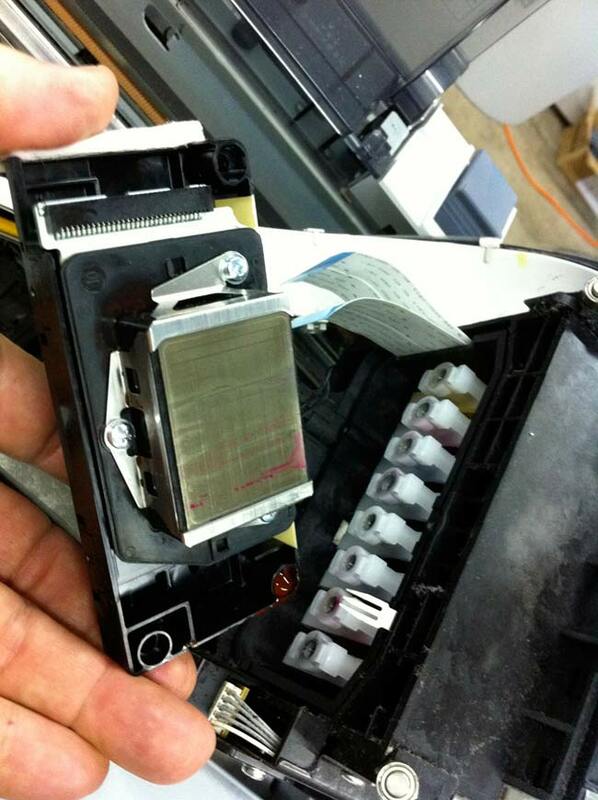 You would be amazed at what can be done to resurrect a dead printer! If none of this works for you, we would be happy to get you a new printer, just call us to discuss if your printer can be repaired or if it needs to be upgraded at 303-934-2777. For Denver Area Epson Service, call us at 303-980-8069 and ask for our Epson Printer Service Department to schedule a preventative maintenance or to order parts and our cleaning solutions. My Ink Jet Nozzles are Clogged!? Demo Equipment - One Time Deal! Who are the Photo-Imaging Consultants... and what is Digital2you? Epson Wide Format Ink Jet Printer "Humidor"
Dry Season, Clogged Epson Ink Jet Heads...solutions?